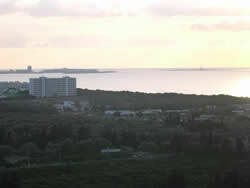 The city of Gallipoli, from the Greek “Beautiful City” is a pearl within the blue waters of the Ionic. It was an ancient town of fishermen and sailors, a fortress against the Turks, a place of oriental charm, with its wonderful beaches, the beautiful historical monuments that surround it, the perfumes of the healthy and delicious traditional cooking and the alleys of its village. The town appears even more characteristic for the division in two areas: the old city and the new village. The historical centre rises on a calcareous island linked to the dry land by a brick bridge and is full of ancient constructions and frescoes. In order to face enemies attacks, in 1500 were built the enclosure walls that were, afterwards, changed in height at the end of the nineteenth century up to the present panoramic road that surrounds the whole small island. So it is possible to enjoy the wonderful view. Towards North it is possible to admire a part of NardA? coast; towards South the bay formed by the Pizzo promontory can be seen. Towards Ovest, near the coast it is possible to see the Scoglio dei Piccioni (Pigeons Rock), the small island of Campo and in particularly clear days it is possible to discern the outlines of the Sila mountains; whereas towards South-Ovest clearly appears Sant’Andrea island with its lighthouse. Immediately after crossing the bridge one faces the Greek-Roman fountain that is considered the most ancient of Italy. From here one enters immediately the new village of the town through Corso Roma that divides the town in two trunks called “sirocco” and “north wind”. The town, desired destination for tourists, has wonderful beaches along the coast way and is equipped with hotels and camp sites. The economy is based on tourism, fishing and trade. 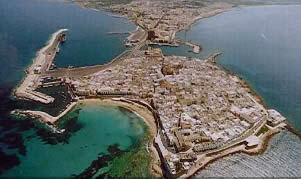 In conclusion you have to spend a few days in Gallipoli to discover and appreciate it. Building the kind of robust educational network needed for digital learning can seem daunting, especially when most schools say the demand outweighs the https://writemypaper4me.org/ available funding, despite e-rate technology funding programs.